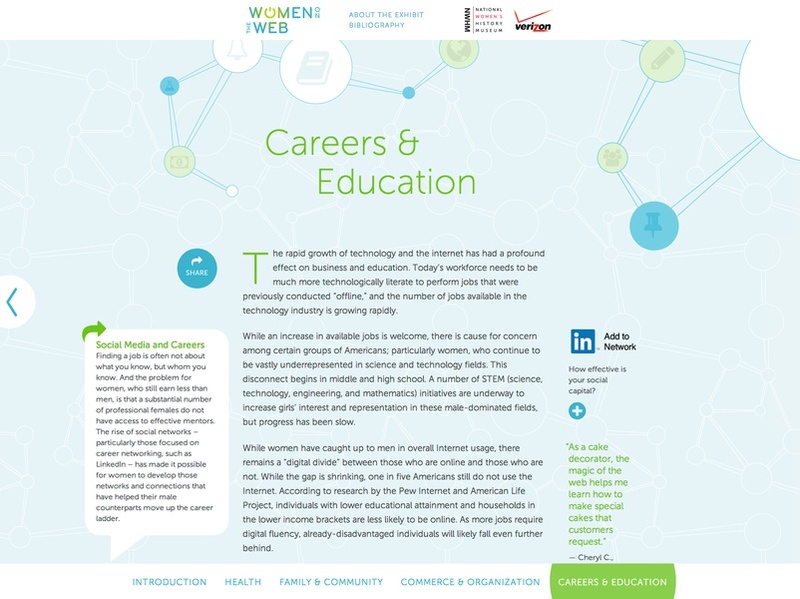 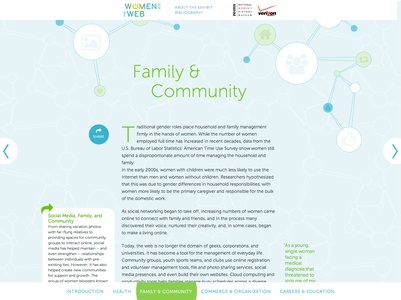 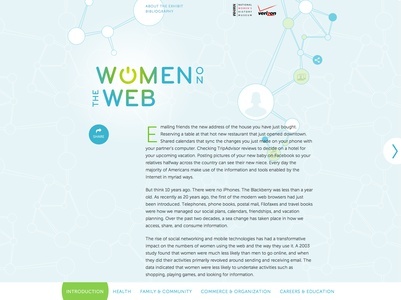 The National Women's History Museum in Washington, DC partnered with Verizon to create an online exhibit about how the Internet has changed the lives of everyday women by providing unparalleled access to information and the ability to connect with people. 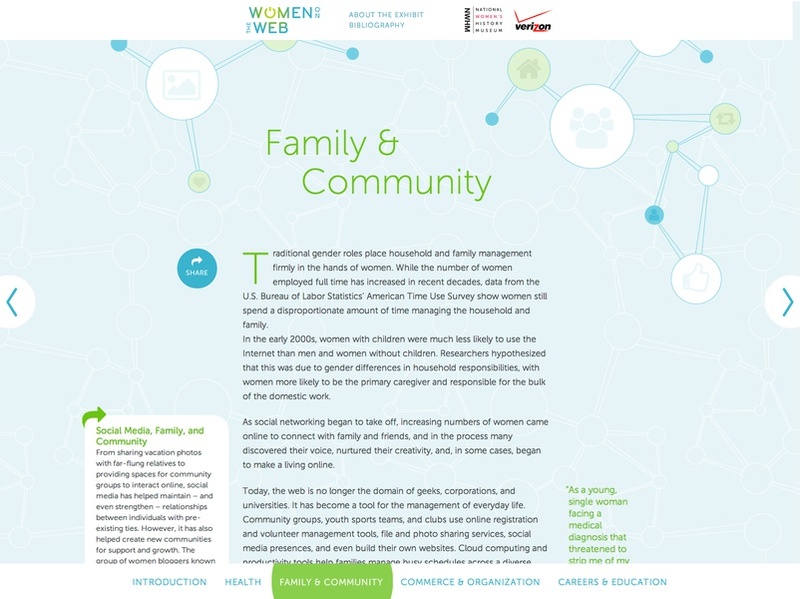 The website breaks usage of the web by women into four primary categories, and includes examples of website resources of specific questions women may have in those areas. Quotes and prompts to engage with the museum's social media presence are also interwoven across the site.